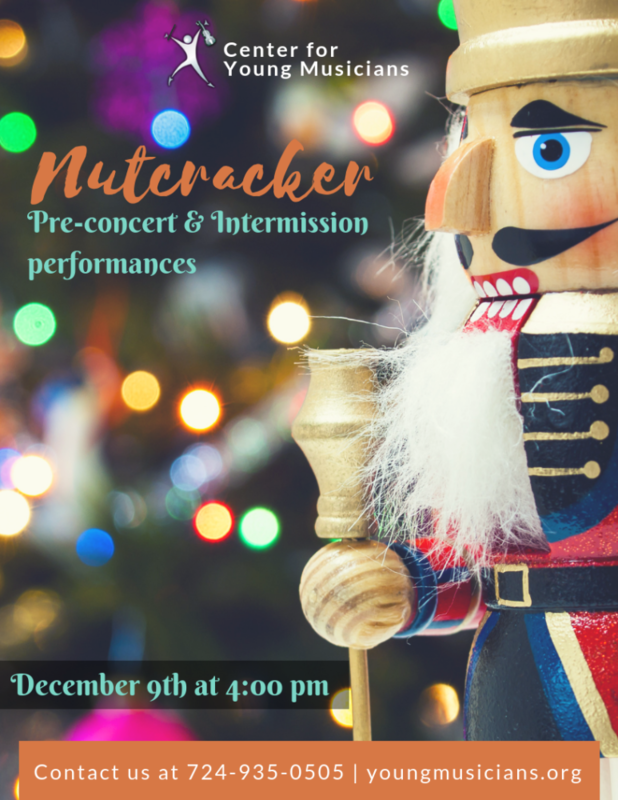 The CYM strings have been invited to perform holiday music prior to the performance and during the intermission of the 4:30pm December 9th Nutcracker ballet performance at the Benedum Center. We will play selections from Festive and More Festive Strings (Upper Book 2 level and above) and will play Twinkle Theme and Oh Come, Little Children for younger students in attendance. All performers will get in free, and parents will have access to tickets at a 30% discount using the code PBTCHOIRFF. All tickets for the Nutcracker performance must be purchased through PBT. For participation and ticket questions, please talk to your teacher, or contact Ms. Leah at lgivelber@youngmusicians.org.